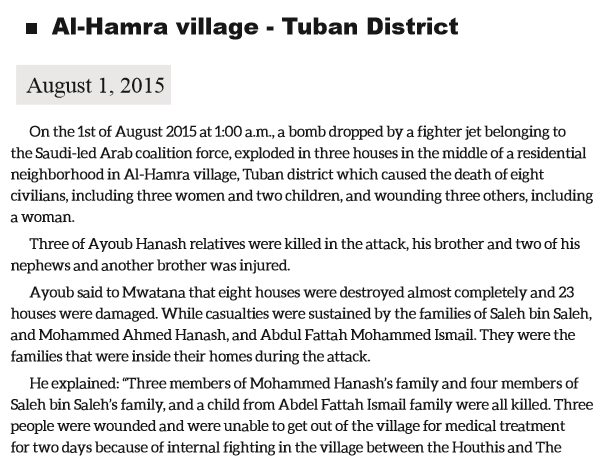 On 1st August 2015 at 1 am in the morning, the Saudi led coalition airstrikes hit a residential area in Al-Hamra village in Tuban district, Lahj governorate. 8 civilians were killed including 3 women and 2 children and 3 more were wounded. 8 houses were almost completely destroyed and 23 were damaged.